The new Callaway Epic Flash drivers, released today, once again demonstrate why the brand is one of the leading innovators in driver design. Truly, the performance on offer from the new Flash Face has to be hit to be believed. Two years ago, Callaway introduced the original Epic drivers with their revolutionary Jailbreak technology. 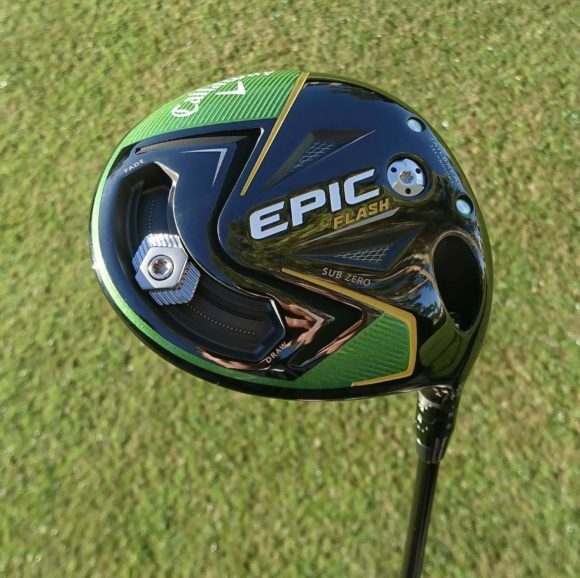 Epic is without a doubt one the most popular pieces of golf equipment released in recent years and the gains in performance and speed that Jailbreak delivered were simply incredible. 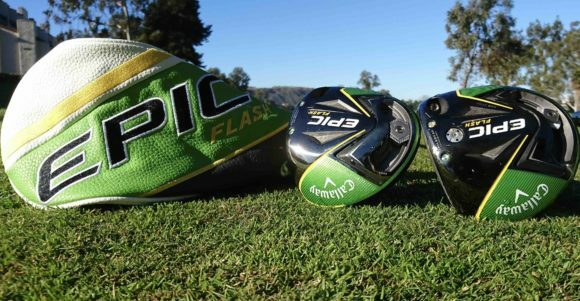 What we have with Epic Flash is another game changing leap in driver technology that looks set to eclipse the advances of its forerunner. 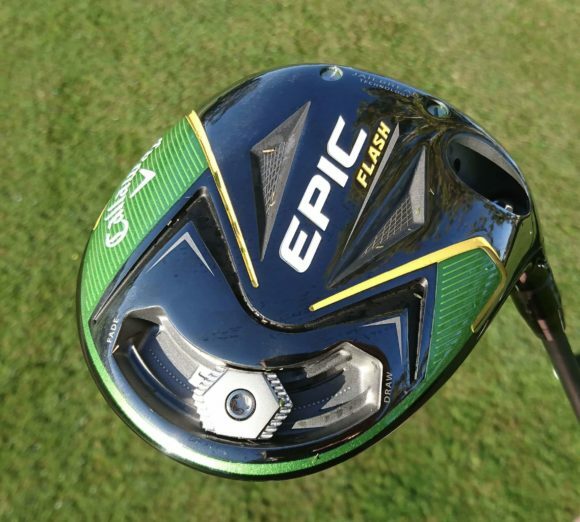 I first tested both the Epic Flash and Epic Flash Sub Zero drivers at Callaway’s Ely Performance Centre in Carlsbad, California, at the beginning of December and I've been playing with them extensively ever since. 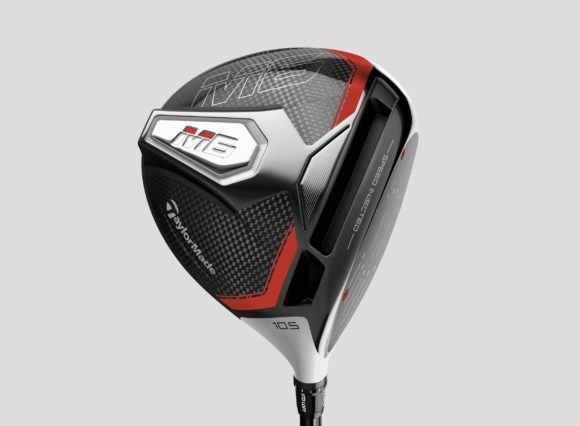 Both are more than worthy successors to the excellent Epic and Rogue drivers and deliver on all aspects of performance - so much so, in fact, that I’m pretty sure I’ve found my new gamer for the 2019 season. 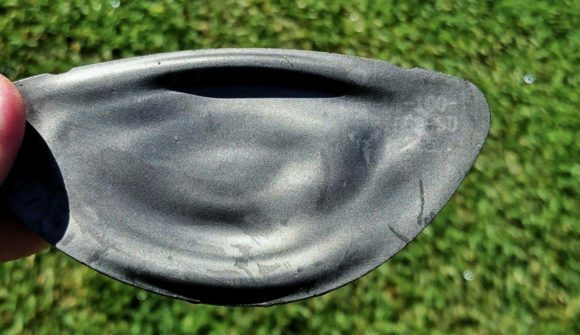 Callaway are making some pretty big claims about the speed gains that you are going to see as a result of the all-new Flash Face - and with good reason. In an industry first, Artificial Intelligence and Machine Learning were used to produce a driver face that is unlike anything I have seen before. Through Machine Learning, Callaway’s new super-computers cycled through 15,000 face architecture iterations, learning from each one, before arriving at Flash Face. Flash Face’s unique, internal mapping consists of dozens of subtle ripples flowing from heel to toe. Though the size, height and configuration of the ripples appears random, they in fact work together cohesively to elevate COR in the face’s centre region. 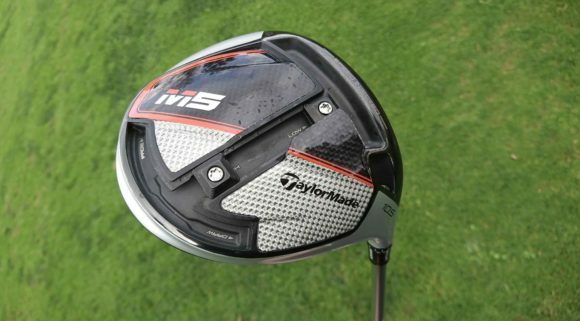 The result is incredibly fast ball speed and long drives. My peak ball speed was, on average, 2mph faster with the Epic Flash compared with last year’s Rogue. The peak ball speed a whopping 5mph faster. That Flash Face, with its quirky looking design, clearly delivers on the promise of on-centre speed for longer drives. However, it isn’t simply shots out of the middle where that you can expect added speed. Flash Face combines with Jailbreak technology to deliver fantastic consistency across the face, which led to a tighter dispersion of shots when I tested using my SkyTrak. The extra speed and improved consistency resulted in me gaining an average of eight additional yards of carryand seven yards in total. Seven yards of additional distance is at least half a club and some of my longer drives were easily going a full club further. In the bigger picture, that adds up to shorter irons into the green and, in turn, more scoring opportunities. Apart from the speed gains, one of the biggest improvements for me comes in the new shaping and address profile. The standard model boasts a slightly larger profile than that of its Sub Zero counterpart and is going to be the higher launching and more forgiving of the two. 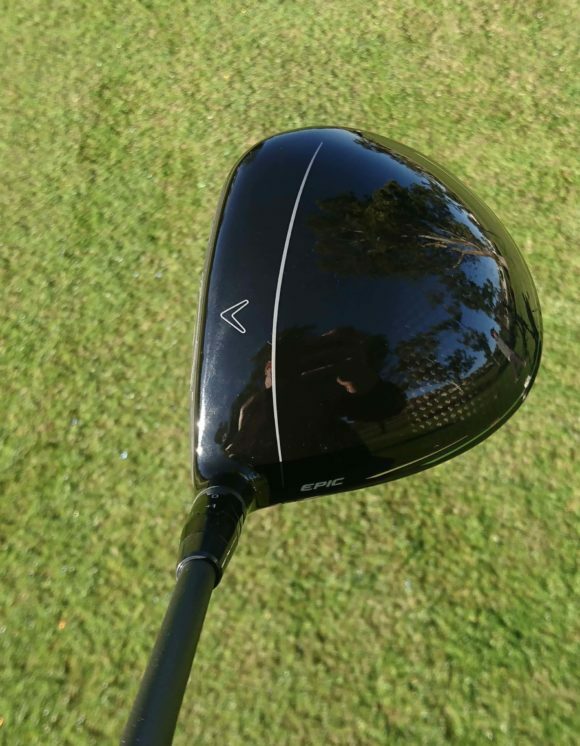 The Rogue drivers had a very stretched back, elongated shape that was designed to boost the MOI skyward and make them incredibly forgiving. With the Epic Flash, we have a much more traditional look at address and a more compact shape. It is immediately noticeable when you put the club behind the ball. That's something I’m sure will appeal to many of you. That change in shape, however, has not come at the expense of forgiveness. As I mentioned, the Flash Face and Jailbreak combine to deliver consistent ball speed across the face, while a new lighter triaxial carbon fabric called T2C and its tighter weave results in weight savings that are redistributed within the head to raise MOI for exceptional forgiveness on off-centre hits. The Epic Flash also offers you ample scope to configure your perfect set-up. Callaway’s Adjustable Perimeter Weighting (APW) makes a return, with a sliding 16g weight giving you the power to easily promote draws, fades or a straighter flight. Combine that with the OptiFit Hosel and what you have is an incredibly adjustable driver that you won’t have any problem dialling in. Other noticeable differences compared with the Rogue are the sound and feel. The Rogue offered a very pleasing dull thud at impact. The Epic Flash, on the other hand, is noticeably louder but just as pleasing. The louder and solid sound makes you feel as though you are getting plenty of oomph off the clubface, and the numbers help to back that up. On the golf course itself, the Epic Flash was delivering a very high launching and powerful ball flight. The distance I was getting off the tee was nothing short of astonishing and the accuracy was also up there with the most forgiving drivers I have tested. 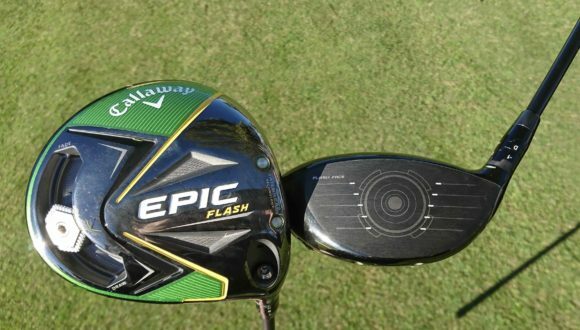 If you are looking for a quick and simple route to more distance off the tee then the Epic Flash is one driver you cannot overlook. It’ll have you hitting shorter irons into the greens in a Flash. The Epic Flash Sub Zero is a lower spinning version of the Epic Flash. 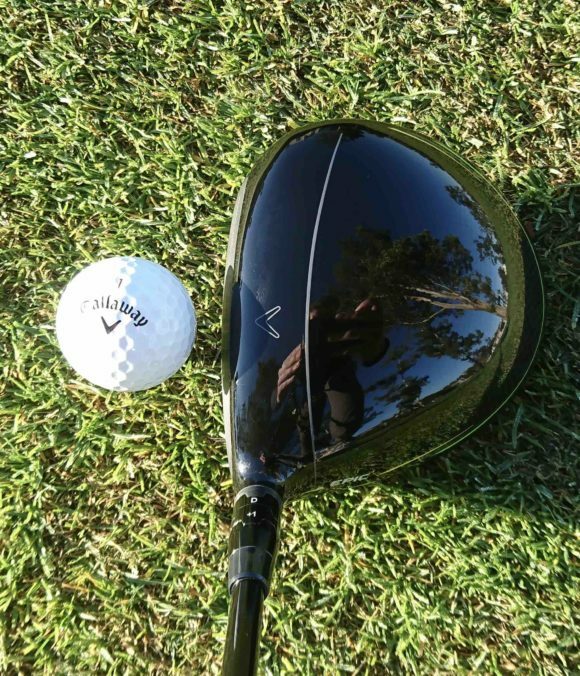 Its advanced head shape and forward internal weighting create a rare combination of high MOI and low spin in a player’s driver, resulting in more forgiveness and longer tee shots. The head is also slightly more compact than the standard model but it incorporates all of the same technologies you'll find in its sibling to offer both maximum distance and forgiveness. This was the model for me. Its lower spin profile suits my game a little better and allowed me to truly maximise my speed and distance. The high launch, low spin combo it offered off the face resulted in me hitting drives further down the fairways of my home course than I previously thought was possible. It is an out-and-out distance machine. Something I particularly enjoyed was having the APW in the Sub Zero model. This is the first time Callaway’s low spinning option has featured the technology and, by positioning the 12g weight in the fade setting, I was able to be as aggressive as I wanted with each swing as my predominant miss is a hook. You quite simply have to go and give these drivers a shot for yourself. 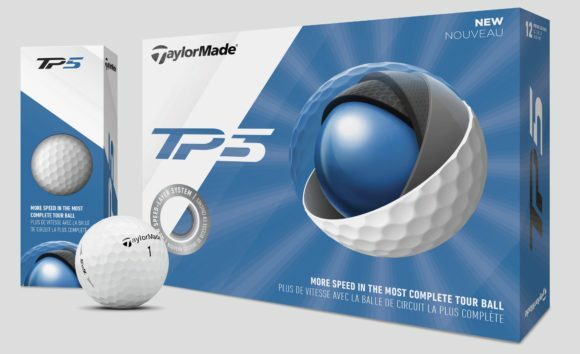 The ball speed and distance on offer is simply staggering and will undoubtedly blow you away. There is something special about these drivers that I can’t quite put my finger on. Maybe it is that speed but, whatever it is, the Epic Flash Sub Zero looks set to set up home in my bag for the 2019 season. Originally published on bunkered on Fri, 04 Jan 2019 14:00:00 +0000.